Love and Hate is three short plays with the themes of love and hate, all written and directed by Damon Lockwood. Superbly acted, they work well together to form a thought provoking production. Damon Lockwood has created three plays, which are strikingly different in style, narrative and feel. The first play, Text, is the darkest of the trio, and explores what happens when the deepest of love turns to the extreme of hatred. A moving but chilling performance from Benj D'addario and an excellently played counter-performance from Talei Howell-Price. A thriller of sorts, it is well paced and well drawn. 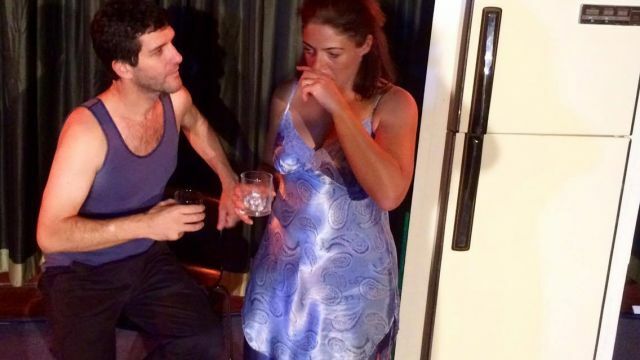 Williamsburg is a gentler, very realistic piece about the end of a relationship — set in Williamsburg, New York and featuring Emily Rose Brennan and Christopher Sansoni. A resonating look at relationships that dwindle rather than break, it draws the audience in nicely and is bitter-sweet in tine. Thoughtfully directed and beautifully acted, it works particularly well in this intimate space. 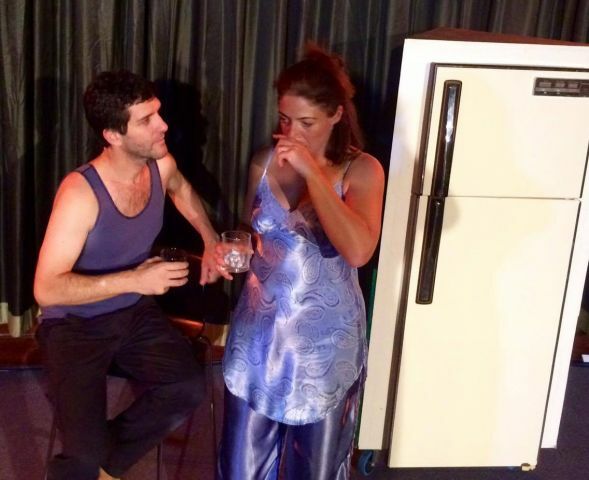 The final offering, Let's Launder Together!, is a lighthearted look at the dawning of love, a warmly comic look at inner thoughts and the unpredictability of romance. Very likeable performances from Salacia Briggs and Barnaby Pollock, with whom the audience form a friendly bond. A wonderful way to send the audience on their way. Cherie Hewson's cleverly designed three-way set piece is a uniting point for the three plays and a practical choice for the small space. Lighting is tricky in this space better suited presumably to lectures or films, but it is used appropriately. Love and Hate is a lovely fully realised theatrical piece, cleverly written, sensitively acted and very well presented. A great Fringe World choice that was very worth seeing.